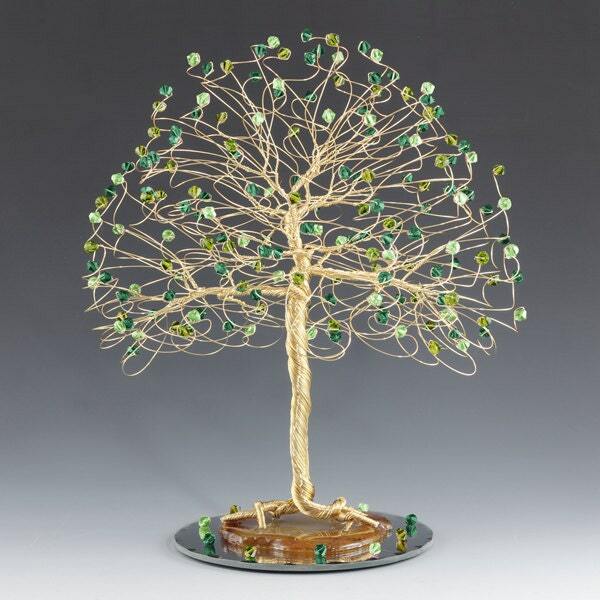 This listing is for a custom tree cake topper created with your choice of silver, gold, or copper tone wire and swarovski crystal elements beads. You may mix as many bead colors as you like! To order just follow these instructions. 3. 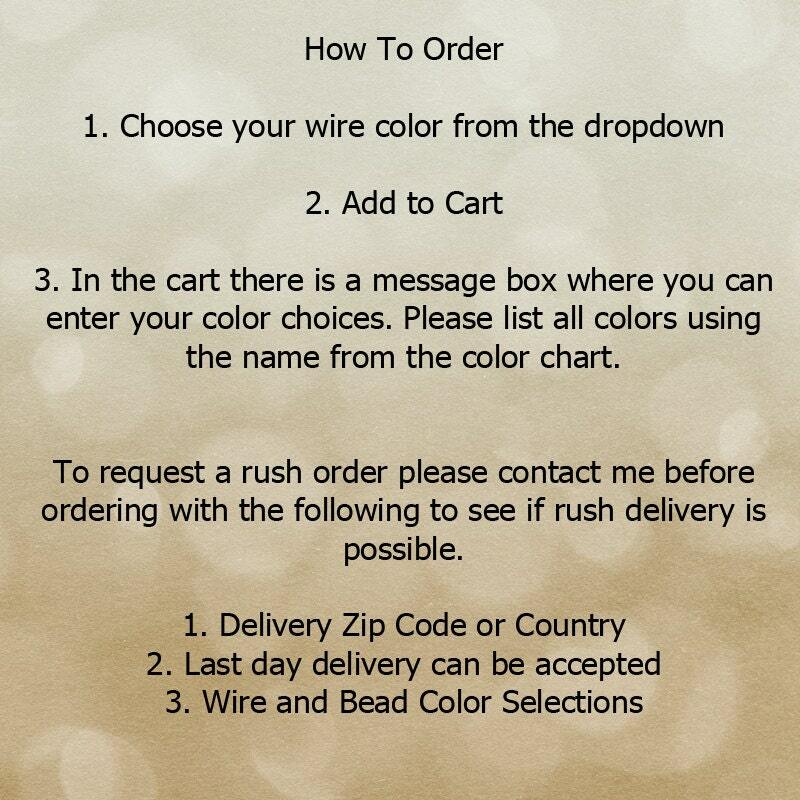 In the cart there is a message box where you can enter your color choices. Please list all colors using the name from the color chart. Allow 1-2 weeks for the delivery of your tree in the USA. International orders arrive 2-6 weeks from the ship date. Ships via USPS Priority Mail within the USA and Internationally via First Class International Mail. 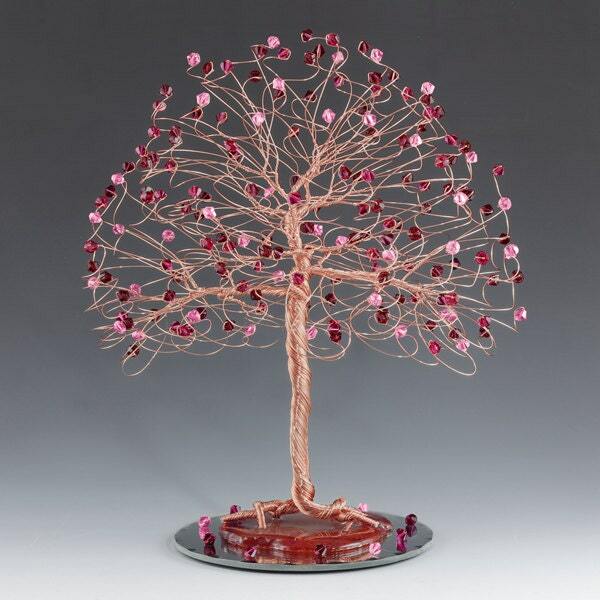 Wire tree measures approx 9" tall x 8" wide with every branch ending in your choice of genuine swarovski crystal elements. 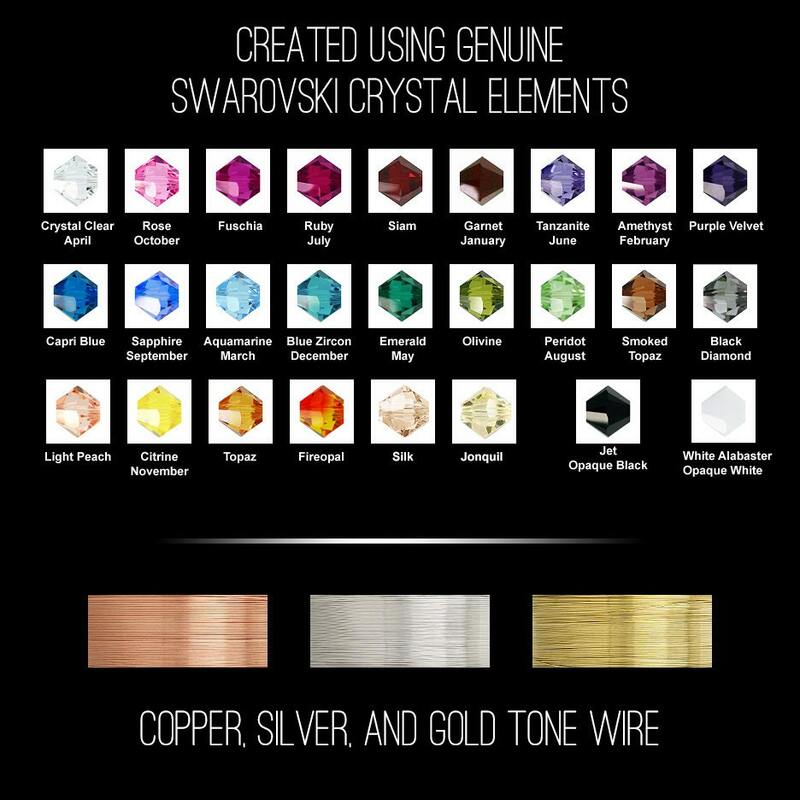 Your choice of silver, copper, or gold wire. Tree base is brazilian agate mounted to a 5" round mirror. This will fit a 6" or larger cake top. Weight is about 14oz. Our wedding topper cake is absolutely gorgeous!! 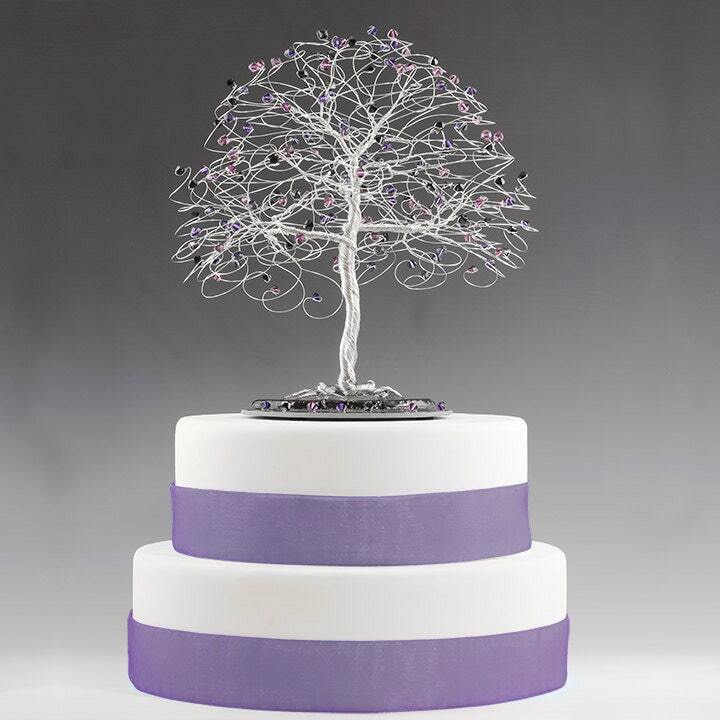 It is exactly what we were looking for and cannot wait to see it on our wedding cake! Very fast shipping and excellent work! Highly recommend!!! Purchased this in gold/clear quartz as a topper for my in-laws' 50th wedding anniversary cake. Beautiful piece and sure to be a focal point of our event, plus a nice family keepsake for many years to come. Apryl was easy to work with and very accommodating with some special requests I had. Highly recommend. Thank you, Apryl! So incredibly beautiful! Thank you for the time you put into the tree and for being so prompt! We cannot wait to see it on top of our wedding cake and around the house after the wedding! This cake topper is amazing and more than I could have asked for. It is so sparkly and beautiful. I am so excited to use it at my wedding! Thank you! The tree is soooo gorgeous!! It will be a centerpiece in our wedding ceremony. Our theme is Woodland / Nature. Everybody that has seen it so far is so impressed.